The Green Building Program encourages a whole-systems approach through design and building techniques to minimize environmental impact and reduce the energy consumption of buildings while contributing to the health of its occupants. 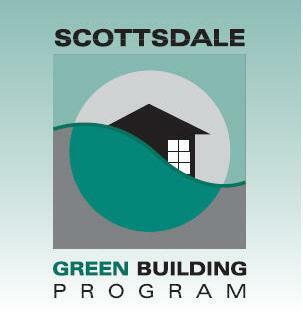 Getting a Scottsdale Green Building designation is easier than you think! Scottsdale new Apple Store at Fashion Square meets Scottsdale’s green building standards. What are the technological trends and building prototypes for the 21st century? Who are the early adopters and market leaders? Come see and hear about successful innovative residential and commercial projects that exemplify principles of resource conservation, energy independence and healthy living. Gorman is an award-winning developer of Arizona's first net-zero energy townhomes. With an extensive background in real estate development that includes site acquisition, design, construction, and financing, he created a company that pioneers in high-performance buildings focusing on energy-efficient, multifamily, and tech-savvy residential developments. Gorman will discuss the future of sustainable green homes and how to achieve the Net-Zero Energy Standard. Gorman will address the important steps to profoundly reduce energy consumption and minimize carbon footprint while increase savings by building and living in net-zero energy homes. Scottsdale’s Green Building Program would like to thank the following speakers for participating in the 2017/2018 lecture series season. Topics included economic value of green, solar energy and battery storage, edible landscapes, building with earthen materials and ductless mini-splits cooling/heating. Scottsdale's Green Building Lecture Series kicks off its new season with a discussion on the reuse and recovery of materials and products we use every day.